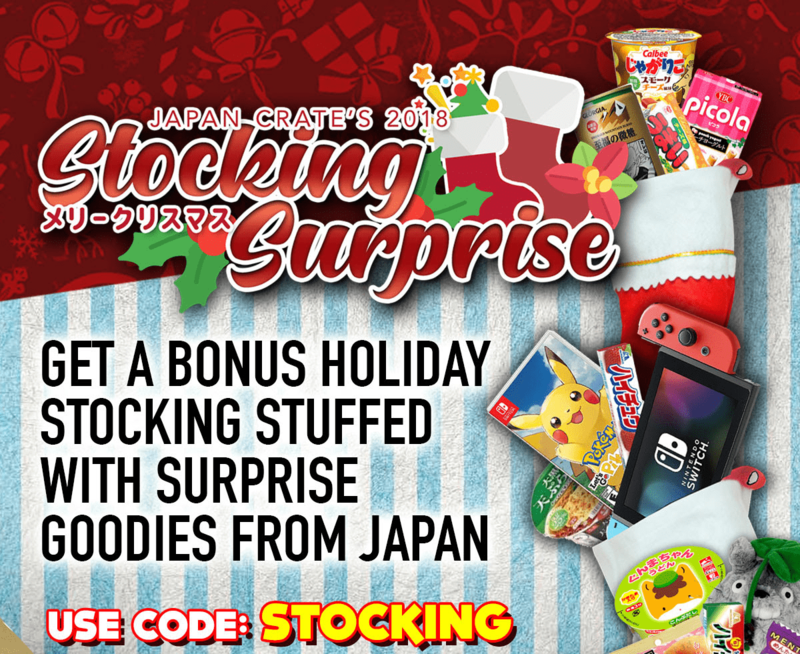 Japan Crate Family coupon – get a bonus Holiday stocking (filled with surprise goodies) together with your first box! Gacha Gacha Crate Cyber Monday Coupon- get up to $60 Off + BONUS ITEM! Pokemon or Sailor Moon! Gacha Gacha Crate Black Friday 2018 Coupon- get up to $60 Off + BONUS ITEM! Pokemon or Sailor Moon!